At Wobeck Crane Services we take health and safety seriously. Our cranes are maintained to the correct standards to ensure compliance with health and safety legislation but also to ensure that when it needs to operate, the chances of mechanical breakdown or failure are minimised. This reduces the risk of an accident but also reduces the risk to a client that when the project needs to run to schedule, the crane won’t be responsible for any delays. Our specially trained staff can take care of everything if you want us to. 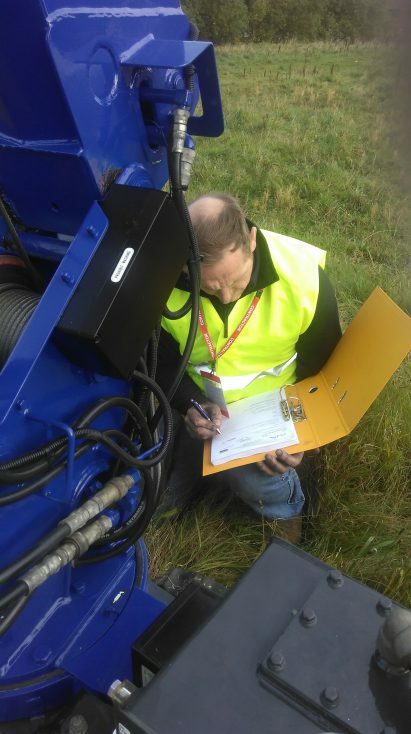 Craig is our Appointed Person… this means that he can draw-up a detailed Lift Plan, Method Statement and Risk Assessment for your job (he can even do this if you aren’t using our crane services), this is known as a ‘Contract Lift’. We undertake contract and non-contract lifts and we can do this in house. This means that we can undertake a variety of work. Sometimes other crane services and lifting operations just need this paperwork assistance, someone to help with planning a contract lift. We can help with this and our Appointed Person (Lifting Operations) can just undertake this work for you which means that your lift can progress as a contract lift and in line with health and safety requirements, fully compliant and with the option for the Appointed Person to be on site if a Crane Supervisor is not present. The Lift Plans that Craig writes are important, lifts of any sort put people, property and machinery at risk. If a risk plan has been written you can be confident that the potential risk has been minimised from the lifting operation and that the crane operator is fully coherent with how the lift needs to be carried out safely and effectively. Having a lift plan also reduces your liabilities as a hirer, as without it you become responsible for planning and executing the lift. During the ‘Contract Lift’ Craig and the rest of the team’s support doesn’t stop there however. Craig is likely to be on site during a ‘Contract Lift’ to ensure that it is carried out correctly and some of the rest of the team may also be in attendance to review progress and ensure that the client is happy with the service. Our operatives are also highly trained to ensure that they know the crane, how to operate it effectively and undertake actions with it safely. 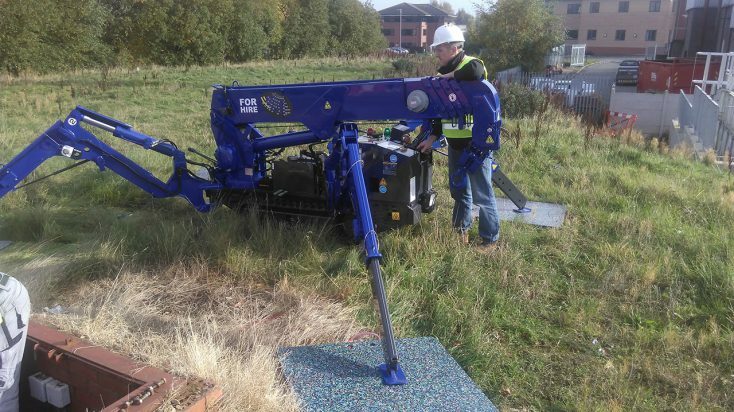 The spider cranes are clever too… The in-built safety apparatus can ‘talk’ to our operatives and warn them if there is a problem or the lift is beyond their capabilities. This constant feedback to a specially trained operative reduces the potential for an incident, or even a near miss, to occur. Our highest priority at Wobeck Crane Services is, and will remain, health and safety. We want everyone to go home safely at the end of the day following a successful lifting operation.